It seems that LED light sources are finding their way into just about anything that ever emitted a photon. Even those places where technology seems to be just above the stone age are now seeing LEDs lighting up areas that barely have electricity. From rail and subway tunnels to underground mines and inside hulls and vessels, new, more efficient, more reliable LED products are finding a home. In hazardous areas where flammable liquids and gases may be present, intrinsically safe and low temperature lighting products can be a huge advantage in creating a safe work environment. When a refinery plant is undergoing a major shutdown and workers enter the potentially hazardous areas, traditional incandescent and fluorescent technology has proven to be somewhat problematic. One good whack of your handlamp on a steel structure will either break your incandescent filament or break the glass of your fluorescent lamp. Workers notoriously found ways to have impromptu breaks from work when they conveniently dropped their light and need a new one or a repaired one. LED technology has a real advantage here because of the ruggedness of the source itself. 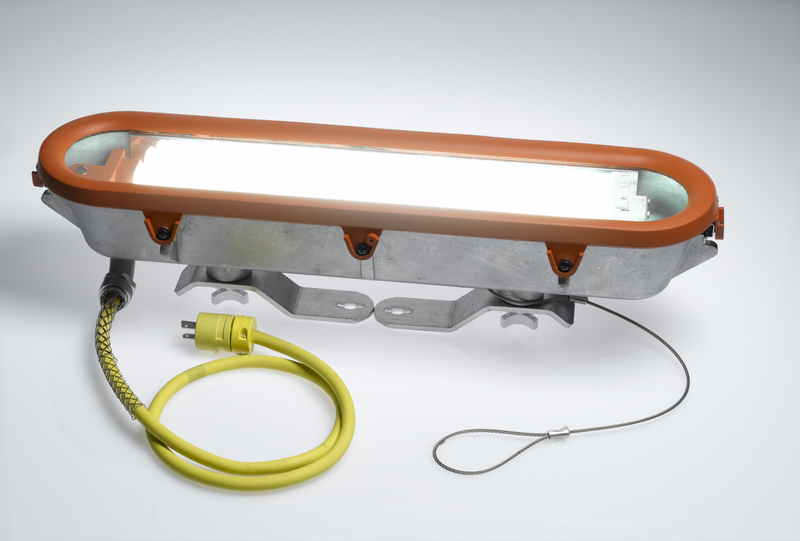 Most portable lighting products for hazardous locations are constructed of cast aluminum and use thick glass sections that are nearly bulletproof. The Achilles’ Heel has always been the light source. An additional advantage of LED products is the lower voltage. In order to enter a wet or conductive space, OSHA 1926.405(a)(2)(ii)(G) identifies the need for either ground fault circuit interrupters (GFCI) or low voltage (12V) to provide worker protection. With many LED components operating in the 12V range, it creates a simple way to drop standard LED products into existing fixtures to make a safe, code compliant product.